Relax on the miles of free pristine beaches. Wildwood beaches are the place to go to unwind while catching the sunshine. Bring beach chairs with you to stretch out on while enjoying a good book or get your feet wet in the Atlantic Ocean. Click this link to learn more about Wildwood Beaches! The Wildwood Boardwalk is packed with amusement rides, unique shops, and tasty treats. This is a fantastic place for couples to take a stimulating afternoon or evening stroll. When you’re looking for fun and excitement, the carnival atmosphere of the Boardwalk is sure to satisfy. Shop for funny T-shirts and souvenirs, try your luck at a variety of games, snack on sugary funnel cakes, and even see a parade. Click this link to learn more about the Boardwalk. Click this link to learn more about Doo Wop architecture! For amazing breakfast, lunch, dinner or a milk shake in a classic 50's diner stop into Doo Wop Diner. Visitors love the friendly service and tasty food so much its been given a Certificate of Excellence from Trip Advisor 6 years in a row. You’ll find all of your breakfast favorites on their menu. Millions of vacationers hit the beach in Wildwood every summer, and the Doo Wop Diner is a huge hit with the crowds. It's easy to see why people love this restaurant: tasty food, quick and friendly service, affordable prices and cool Doo Wop music and memorabilia. So it's no surprise that the Doo Wop Diner has been a featured restaurant in Travel & Leisure Magazine, ranks consistently high for all of Philly on the Fox 29 News Family Restaurant HOT LIST every year, and has been featured by Sunny Anderson on the The Food Network! Here's a coupon for a free sunday. 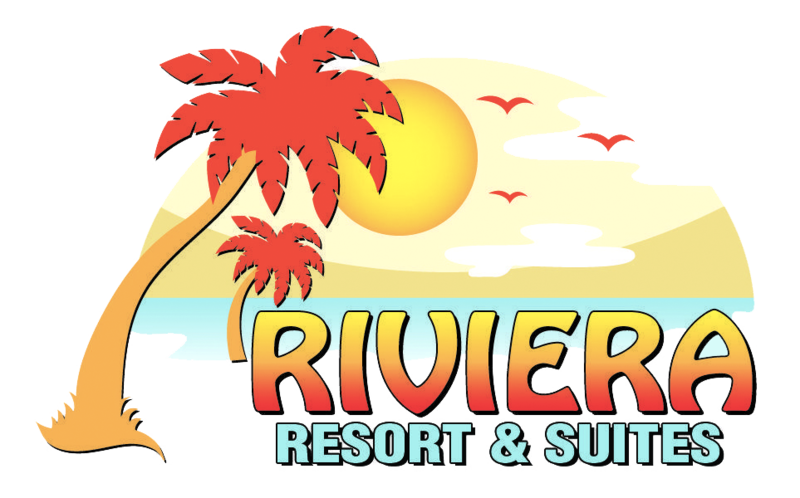 Riviera Resort & Suites is equipped with a friendly, helpful staff and clean, comfortable rooms. When you stay at Riviera you are only a few steps from the famous free Wildwood beaches, and all of the amusements at Morey's Piers. The rooms are quiet and offer a great retreat for relaxing. Have a swim in the well kept pool, release your stresses in the jacuzzi, or relax on the lounge chairs available onsite.